Hello! 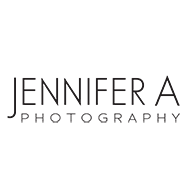 I’m Jen and I’m so glad you’ve stopped by to check out my work! I’m a Minneapolis based photographer who loves meeting new people and is passionate about weddings. It’s not only important to me to leave you with beautiful photographs you’ll love forever but to give you a complete experience that will leave you knowing you’ve chosen a professional. I believe the beauty of a photograph comes from showing off a true raw moment, a look or an emotion. I strive to do so every time I lift my camera. It’s the moments that happen when the shot is not posed or you think no one is looking that often mean the most. They are the ones that tell the story and your story is what I tell. I adore meeting new people and hearing love stories. If you’d like to set up a time to meet and get acquainted please contact me. While I shoot mainly weddings, my summers also consist of photographing high school seniors. If you’d like more information on senior photography, please click the “Seniors” link.